He showed her keep-away and now she can't stop chasing him! 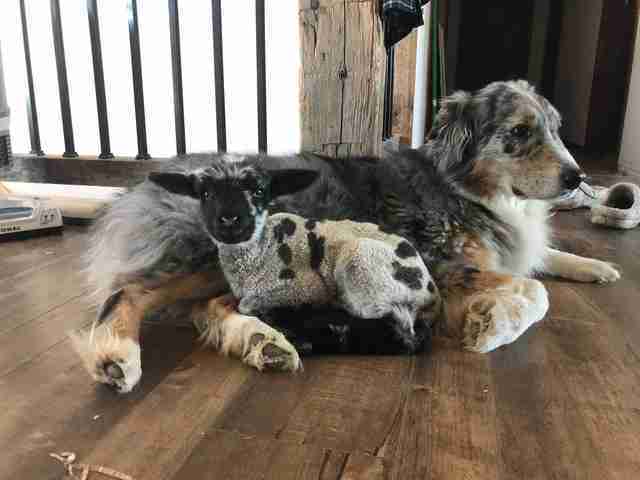 A little lamb named Maddison has just been adopted into a big loving multi-species family — but it wasn't so long ago that she was totally unwanted. Maddison, who also goes by Maddie, was born on a farm in Canada earlier this year. The timing of her birth was meant to coincide with the upcoming Easter market. She was supposed to be just a couple months old, big but not too big, to be slaughtered and sold. For one thing, Maddie's mother passed away from complications just a day after giving birth. Secondly, Maddie was a bit of a disappointment to the farmer. 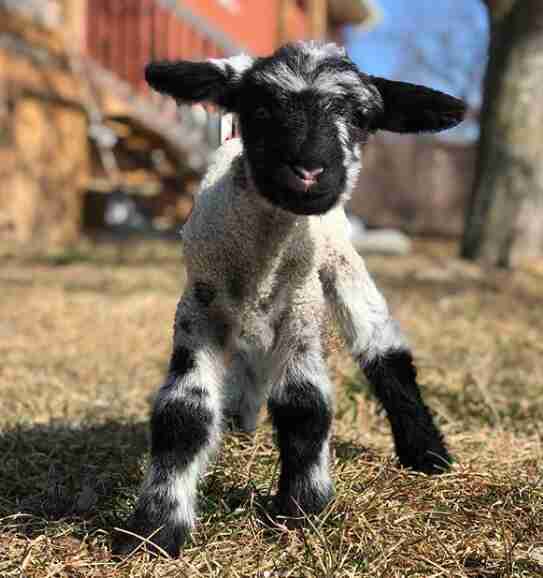 "She was too small to be worth the time and costs of formula as she wouldn’t hit the market weight in time," Megan Mostacci, cofounder of Black Goat Farm and Sanctuary in Ontario, Canada, told The Dodo. Maddie wasn't worth keeping for breeding, either — since she was so small, she'd likely give birth to small babies, too. Also, her wool "wasn't ideal," according to the farmer. 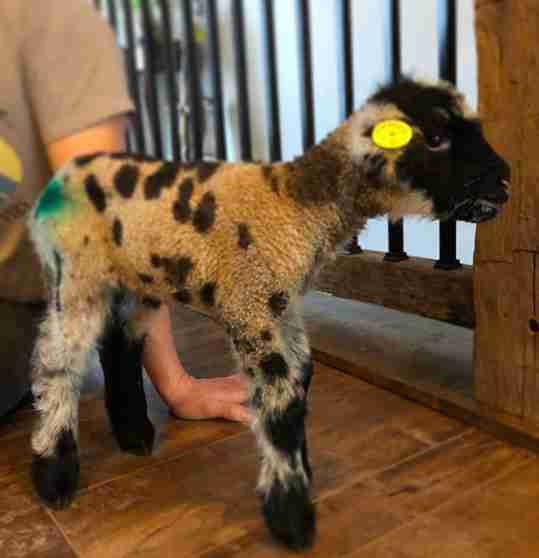 Maddie was spray-painted with a blue mark, which meant that she was supposed to be sold. Instead, Mostacci managed to negotiate the little unwanted lamb's rescue. 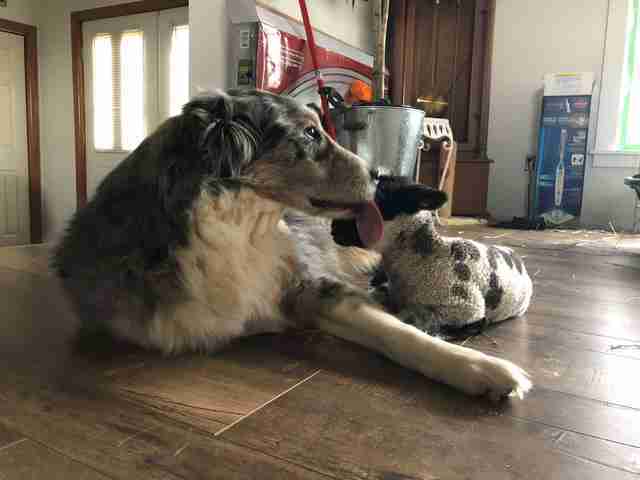 Maddie arrived at the sanctuary in March — and something magical immediately happened between her and an Australian shepherd named Lincoln at her new home. "As soon as Maddie got into the house Lincoln was licking her and standing by her little bucket so the other dog and cats wouldn’t go near her," Mostacci said. "Maddie was very weak the first few days so she pretty much just laid around with Lincoln." Lincoln is used to being a big brother to a variety of rescued animals at the sanctuary. In Maddie's case, his presence seemed to help her heal from her painful past. It wasn't long before Maddie was up on her feet and running, thanks to her canine older brother. Mostacci also gave Maddie a little stuffed lamb to help keep her comfortable. But, like any older brother, Lincoln had other plans for Maddie's toy. "We bought her a lamb stuffy to cuddle with, thinking it may make her feel better," Mostacci said. "It was a constant fight with Lincoln over the stuffy as he would steal it from her." Perhaps Lincoln's game of keep-away was one of the things that helped the weak lamb gain her strength. Soon enough, the pair started a daily routine of running and playing in the yard. Mostacci remembers how she started cracking up the first time she saw the game. 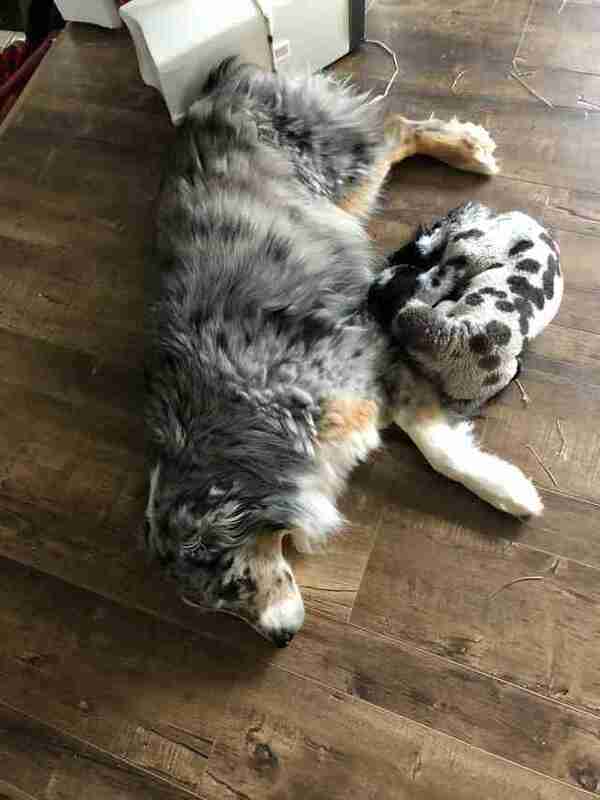 "One day I went out — Lincoln must have stolen Maddie’s stuffy and snuck it outside — to see him running around the yard with Maddie right behind him," she said. "He could easily outrun her but he was sticking close and making a game of it." The pair has gained quite a following for their adorable roughhousing — both on social media ("Lincoln has found out that Maddie will chase him if he takes her stuffed lamb and runs. He’s very careful not to get too far ahead," Mostacci wrote on Facebook when posting one video of the game) and in person ("They are so cute ... we have had people pull over and watch them!" she said). Not everyone is quite so smitten with Maddie as Lincoln is — something Maddie learned when she tried to join a bunch of ducks on the property. Perhaps this helps Maddie appreciate the bond with Lincoln even more. "Maddie is almost a month old and is getting faster — the faster she gets, the quicker Lincoln runs so he is just out of reach," Mostacci observed. "He does always give the toy back at the end of the game — but now it seems like Maddie wants him to take it and run so that she can chase him." But the pair isn't always playing — they also appreciate the importance of napping, something they also choose to do together. ​​​"When they aren’t playing, they are cleaning each other’s ears and cuddling together," Mostacci said. You can congratulate Maddie on her amazing new home by making a donation to the sanctuary.